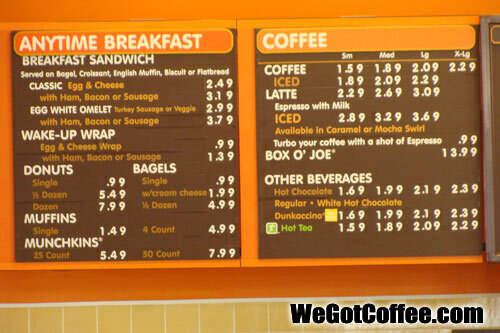 You can get breakfast anytime of the day at Dunkin Donuts. 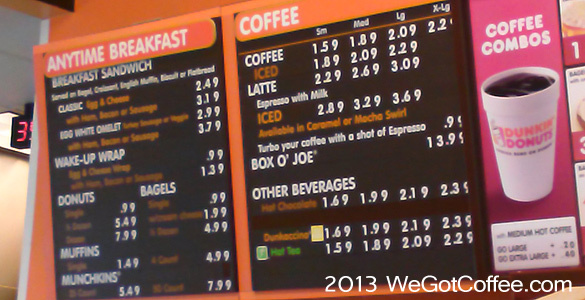 The menu includes all of their basic breakfast items, and the different coffee drinks. 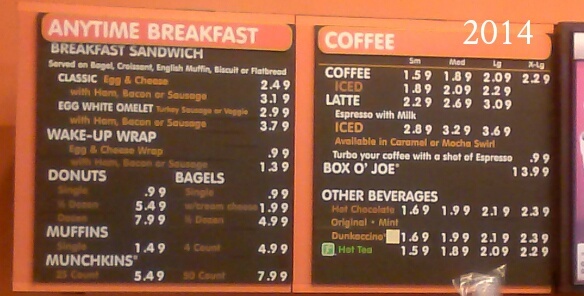 The other combo-specials and limited edition items are usually on display boards in Dunkin Donuts. This menu has the food and drink items with the prices. How Well Do you Know Dunkin Donuts? When was Dunkin Donuts founded? Where is the ORIGINAL Dunkin Donuts located? Which is NOT a drink at Dunkin Donuts. What was the Dunkin Donuts original name? What is the name of the Dunkin Donut holes? Where was the first Green or Environmentally Friendly Dunkin Donuts opened? What is a slogan of Dunkin Donuts that started in 2006? What is the average calorie amount in a Dunkin Donut? 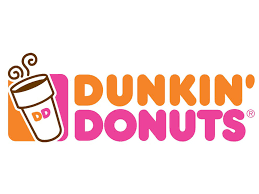 What two colors are in the Dunkin Donut logo? What was the Dunkin Donuts slogan in 2000? You remember the site so you can tell others! 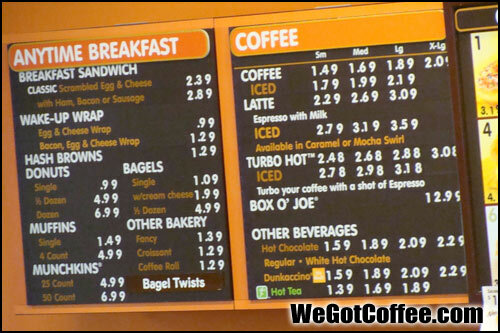 Compare the prices on the Dunkin Donuts menus from the past few years.